Phil Whitman hails from the foothills of New York’s Adirondack Mountains. In addition to exhibiting his own artwork nationally, he has worked in museums and art galleries in New York City and throughout New England. At Castleton, Phil enjoys the opportunity to work with students in both Art History and Studio Art courses. 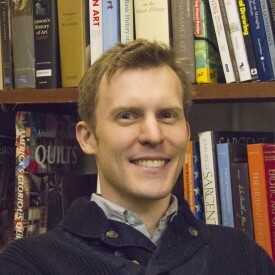 His research interests include nineteenth-century American art and, particularly, tourist pilgrimage to battlefields and historic landscapes.